Scanstrut’s mounting kit is available for a number of Lowrance products in the Hook2 series. Scanstrut is teaming with Lowrance in a product partnership that will pair the former’s ROKK Minni Mount’s Pro Mount Kit with the latter’s Hook2 4x and 5x displays. The ROKK Mini Lowrance Hook2 Pro Mount Kit was developed with Lowrance’s product development team to work with the Hook2 4x, 4x GPS, 5x and 5 model fish finders. 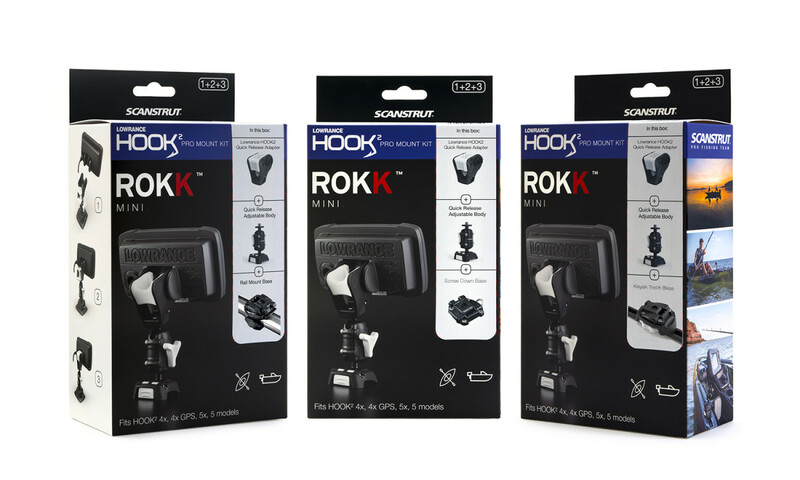 The Hook2 Quick Release Adapter is compatible with the ROKK Mini Body and all 6 ROKK Mini Bases and is available as a kit or individual part.